Successful sequels only work if they have a cinematic uniformity of vision. 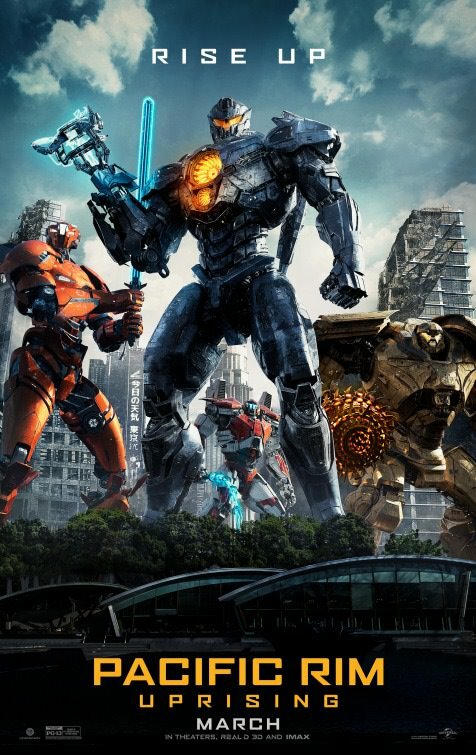 Unfortunately the sequel to Guillermo del Toro’s highly original Pacific Rim (2013) called Pacific Rim Uprising is a paint by numbers sequel without much depth to it beyond massive creatures attacking Tokyo and Honolulu and the defensive Jaegers trying to fight them off. 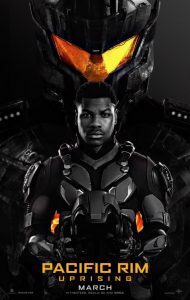 Featuring rising stars John Boyega (Detroit, Star Wars: The Force Awakens) as Jake Pentecost, son of Stacker Pentecost from Pacific Rim and Scott Eastwood (Fury, Suicide Squad) as Nate Lambert, there are only few of the original cast in the sequel including Oscar nominee Rinko Kikuchi (Babel) as Mako Mori and Charlie Day as the crazed tech genius Dr Newton Geiszler. Unfortunately no Idris Elba or Charlie Hunnam to light up our screens and make this sequel dazzle. In trying to prevent another attack of the Kaiju on the Pacific Rim cities around the globe, Jake teams up with a young delinquent Amara Namani played by Cailee Spaeny. Tian Jing (Kong: Skull Island, The Great Wall) plays Liwen Shao , head of a shady Shanghai Tech giant Shao Technologies which plays on introducing drones to control the Jaegers as a defence mechanism against another impending attack of the nefarious Kaiju. Jake and Amara try to rustle up a team of young recruits but that is soon usurped by a sudden attack in Sydney of a rogue Jaeger. The action moves swiftly onto Tokyo in the most impressive CGI sequence whereby the roaming sea monsters are intent on attacking Mount Fiji while Jake and his team have to fight them off before they reach their volcanic destination. 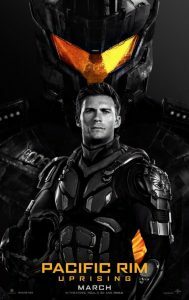 As an effects laden CGI movie, Pacific Rim Uprising is fun to watch but lacks originality and the script is lacklustre coupled with the uninspiring direction by Daredevil director Steven S. DeKnight. 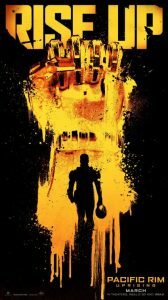 Pacific Rim Uprising gets a film rating of 6.5 out of 10 and is recommended for only those viewers that loved the first film. Otherwise this sequel, like many, is not going to have a broader appeal.